Hello! It's time for another Big Boot Challenge instalment, this time we're taking on Yours. I've never had foot wear from them before so I was quite excited at the prospect of trying some out, plus I was excited to see if we could be proved wrong again. I was surprised by the section of boots they had on the site each one with an XL of XXL calf fitting. 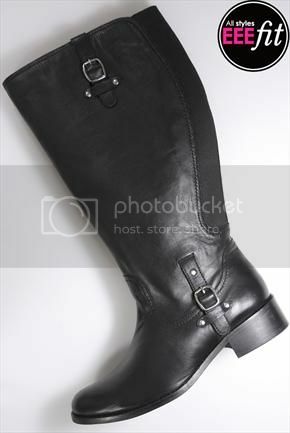 I went for the Black Leather Riding boot with Buckle Detail in the XXL, I went for my usual size 6, and as standard all of yours boots are a EEE fitting. 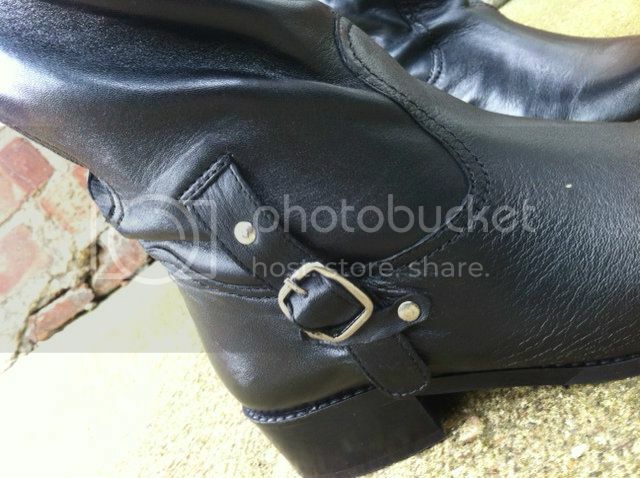 I was pleasantly surprised with the overall look of the boot, the leather is of a really good quality the buckles are really nice and the shape of the boot is nice too. Yes! 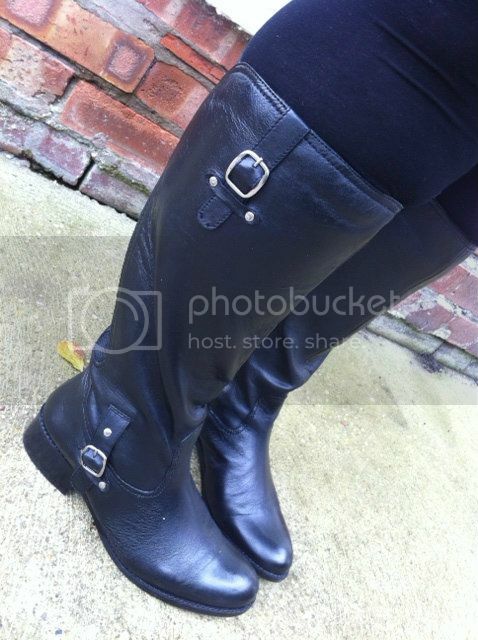 The boots did up with ease and fitted well over my 19.5 inch (495.3 mm) calves. I've worn them on a couple of occasions now and found them really comfortable. I wore mine with a simple black skirt, striped jumper and houndstooth swing jacket. I have a new wall!!! The boots looked great on because I have a slim ankle compared to my calf I found there to be a little bagginess around the ankle, but when you have such an extreme difference in measurements there's not a lot you can do about that. 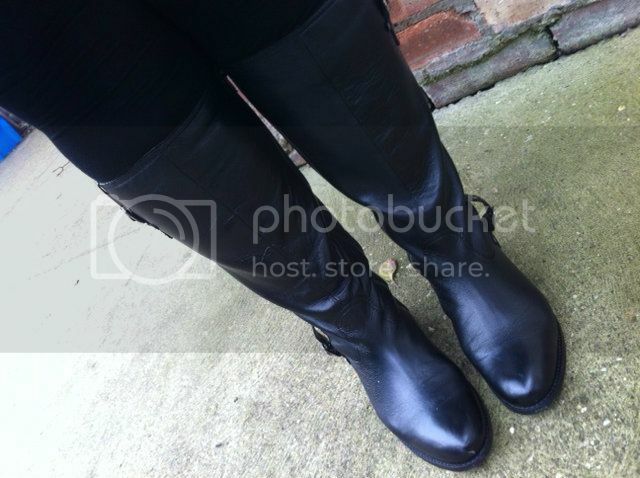 If you like these boots you can click here to have a better look at them and the specifics... be sure to check out what Toni thought of her Yours boots here... and a big thank you to Yours for taking part in the challenge, you passed with flying colours!! Hi I love these boots they look very smart. I might have to invest!! A little bit on the boucoup de prix side for me, going to have save the pennies or ask the Yuletide elf to help me out! 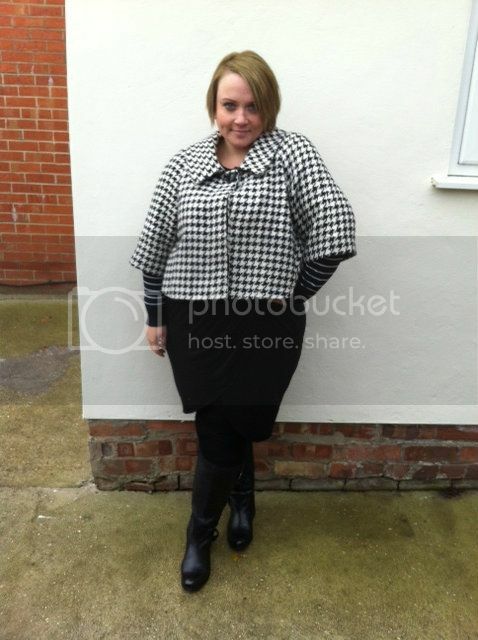 I realize it is a boot post but I love, love, love houndstooth and had to comment on the cute jacket -- so sweet. Those boots look hot! I really like them. How much do they go for?